What is the ADHD lie? Is it possible to treat ADHD with neurofeedback? Diagnoses are important in medicine because they provide orientation. But there is hardly a diagnosis that is as controversial as ADD or ADHD. But why is it like that? One of the biggest problems is that the diagnosis ADHD (Attention Deficit / Hyperactivity Syndrome) as a term includes attention and hyperactivity. Disturbed attention, with or without hyperactivity. This is an extremely complex event, which takes place both on the behavioral level, but primarily on the brain level. It is the pathetic attempt to define a disorder that occurs primarily at the brain level through behavior. This ultimately has to fail. Yes – there are parents who are terribly failing in education, and yes, there is too much media consumption and too much distraction, and of course there is also the „sensory overload“. And yes – there is also something like wrong diet. But that’s why you still can not assume that no medically relevant disorder exists. Because there are enough children who are not conspicuous despite all this. Imagine going to the doctor because you feel a pain in the left breast that spreads across the left arm. What would you say if the doctor gives you the diagnosis: Left-sided chest-arm pain syndrome? You would quickly look for another doctor if you could. But something similar happens with many psychiatric diagnoses. In the case of chest-arm pain, the cause is crucial, and in somatic medicine one is very hesitant to find the very cause of the symptoms. Well, psychiatric medicine does that too, but unfortunately often not enough. Psychiatry has done amazing things in the last 200 years, we have gained a different understanding of mental illness, but unfortunately it seems to desregard any of the modern paradigm shifts. What can be done? In our practice at the Institute for EEG Neurofeedback, we have been treating and researching children with ADHD for more than 10 years. Before each treatment, an in-depth history and neurocognitive examination is performed. The core of our findings, however, is the creation of a quantitative EEG, called QEEG for short. It is about the root of the behavioral problem, which usually reaches far beyond a simple attention deficit. The EEG itself normally offers little evidence. Neurologically, you usually want to exclude an underlying neurological disease, such as epilepsy. The quantitative EEG has very different diagnostic properties. It allows comparison with a standard EEG data, based on a healthy, peer group population. The representation is pictorial and is often also called „brain mapping“. Similar to e.g. the heart and circulatory system, it is also known which values ​​are more likely to be assigned to a trouble-free system and which ones can be classified as conspicuous and relevant to disturbance for the brain. Thus, the symptoms can now be correlated with the abnormalities in the brain image and more clearly being distinguished by so-called biomarkers. Brains consist primarily of nerve cells, the neurons. The electrical activity of the neurons is shown in the form of wave patterns, such as the alpha, theta, or beta waves. The decisive factor is the strength of these waves and their contribution to behavior. Our measurements on the EEG show that different so-called EEG subtypes correlate with disturbances in the information processing of the brain. The so-called theta excess EEG is the most common, in which the proportion of slow theta waves in the EEG predominates. 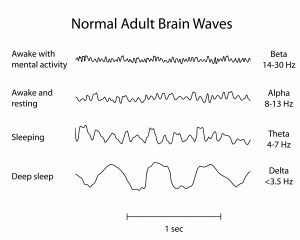 Theta waves in the brain have different functions and appear right when we are about to fall asleep. Now, these brain waves are not a problem in themselves – on the contrary, we also need them when solving problems and for memory consolidation. But if the theta activity is generally too high even in the waking state, then the person often has great difficulty concentrating on a certain task. If the excess waves are also particularly active in parts of the frontal lobe, problems with impulse control and action planning often show up. The other group shows high amplitudes in the field of fast beta waves, which is also colloquially referred to as „Busy Brain“. Here the person has an overactivation and fatigues quickly in tasks that require increased concentration. On the behavioral level, anxiety, low frustration tolerance, and even increased aggression can be observed. Another group includes those who, for example, have too much alpha activity, which is also associated with disorders of concentration and behavior. 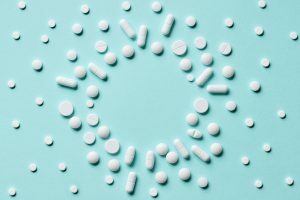 What is the truth behind ADHD? Vorheriger BeitragZurück ADHS – Lüge oder Wahrheit?